Has your organisation done all it can to protect data subjects before, during, and after a security incident? a personal data security breach. 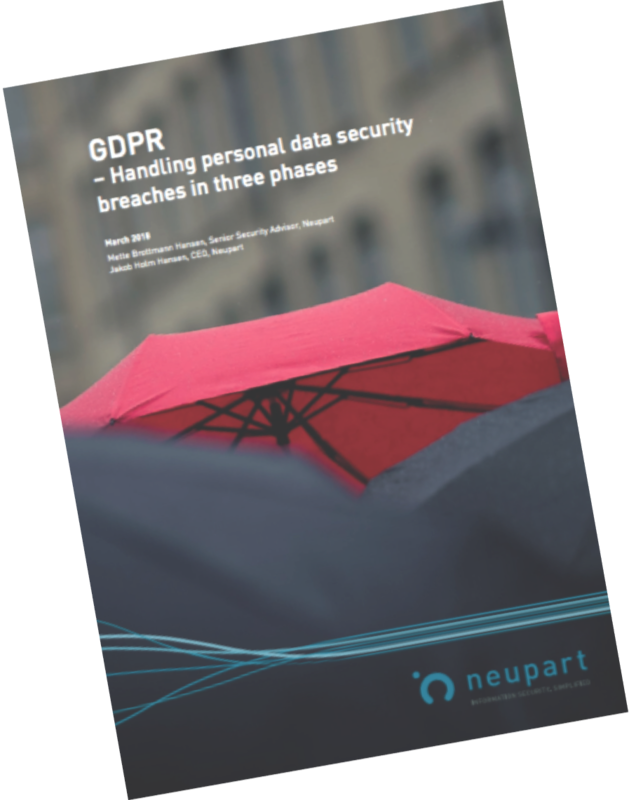 With Neupart’s white paper, GDPR – Handling personal data security breaches in three phases, you’ll get a clear understanding of the formal requirements when handling personal data security breaches according to the General Data Protection Regulation and how to prepare a contingency plan.